Adam Alter, author of the bestseller “Drunk Tank Pink” delightfully explains the effects of subtle cues in the environment on human judgment, decision-making, and behavior. People have the sense that there&apos;s one true version of who they are—that their behaviors reflect a consistent combination of traits, from kindness and honesty to open-mindedness and generosity. In reality, our personalities vary dramatically depending on the cues that surround us. Religious Christians become more honest after they&apos;ve briefly seen a crucifix, and people are more likely to pay for their coffee within an honor system when they&apos;re in a room that features a picture of a pair of human eyes. Donors are more charitable when hurricane match their initials (so Karens and Kens donate more to a storm named Katrina than they do to storms with names that don&apos;t begin with the letter K), and online daters are more open-minded about the prospect of dating a person when he or she is wearing a red shirt rather than a shirt of another color. In each case, people believe their traits—honesty, generosity, and open-mindedness—are fixed, but each trait varies depending on the context. Instead of one consistent personality, we turn out to contain within us multitudes of selves that appear and then vanish from moment to moment. 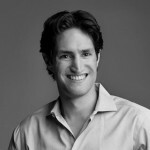 Adam Alter is an associate professor of marketing at New York University&apos;s Stern School of Business, and holds an affiliated appointment in the New York University psychology department. He studies the effects of subtle cues in the environment on human judgment, decision-making, and behavior, and published the bestselling Drunk Tank Pink: And Other Unexpected Forces That Shape How We Think, Feel, and Behave in 2013. Born in South Africa, Alter spent seven years in Johannesburg, then sixteen years in Sydney, Australia, before moving to the United States, where he lives with his wife in New York City.